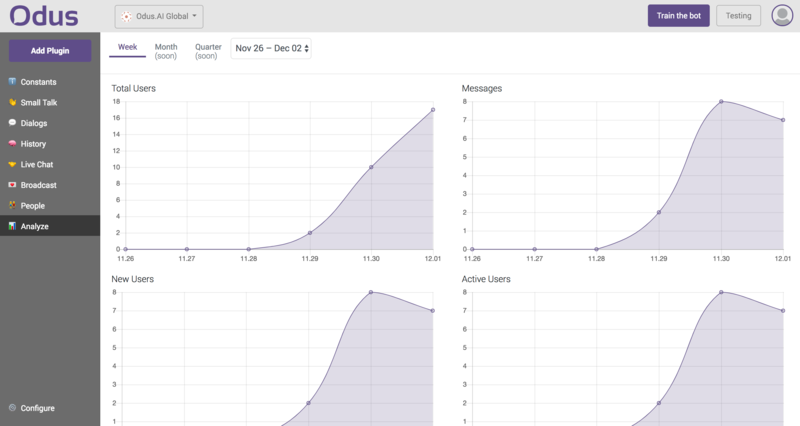 ​We published the first version of the bot’s traffic analysis tab. 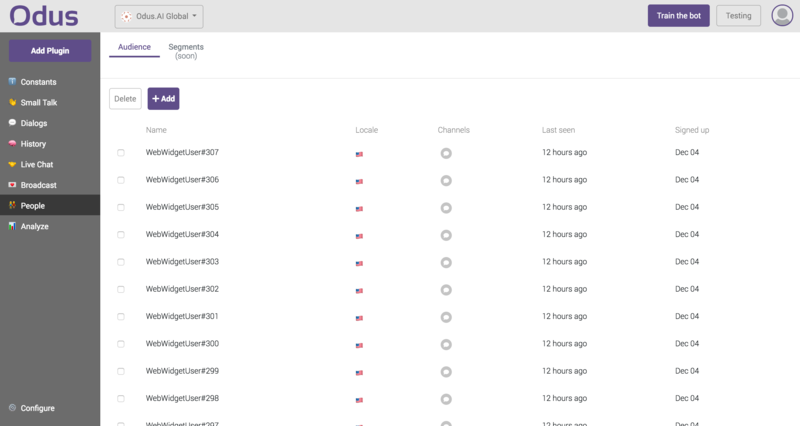 You can check the total amount of users, active and new, as well as the number of messages. Currently the available information is ranged by weeks. 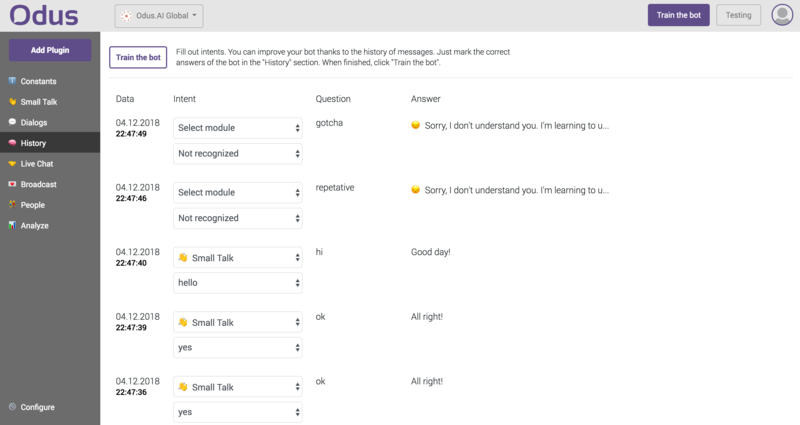 ​Yeah, now you can manage the users of your bot! You can add the clients’ profiles identified by email. For example, it is possible to combine the profiles of a single user in different messaging apps based on email or set an authorization rule before the start of communication with your bot, etc. 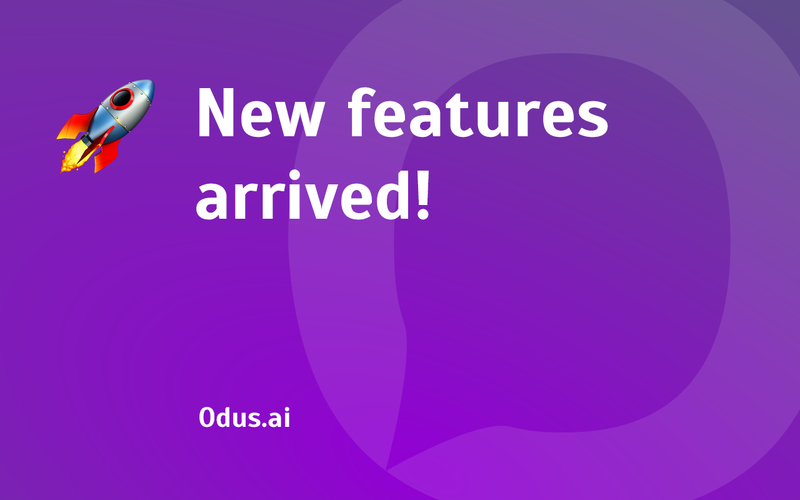 ​​Before the end of the year we will gladly provide you with support of new messaging apps, integrations, and the most important update – a new version of the artificial intelligence for your bots! Also yesterday we started registering the preliminary requests for connection to the partnership account. Soon we will explain what it is and how to make $5000 per month and more with us. In the meantime, read this blogpost. ​​Subscribe to our blog and stay tuned!